While much of today’s society seems to change at a hectic pace, trends involving seniors seem to progress more slowly. The rapid change in lifestyles, however, is catching up to the senior care industry and change will likely continue to accelerate in the coming years. Find out how senior care choices, lifestyles and living facilities will begin to shift in 2018. Read about senior care trends to watch below. Competition is fierce in every industry and senior living facilities are no exception. Some of the largest providers in the United States report fewer new residents across all locations, due to competition from new construction. Some facilities are forced to choose between offering residents fewer amenities and closing their doors completely. 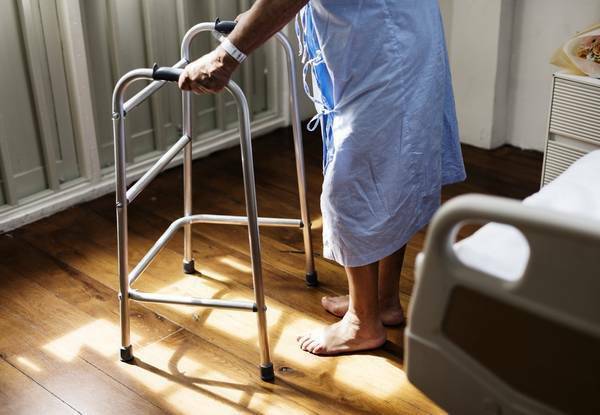 Medicare and Medicaid supply 90 percent of nursing home funding, and as both programs continue to receive cuts, facilities have less available funds. The cost of hiring qualified nurses and providing long-term medical care continues to increase. Americans are increasingly turning to other options. As in-home senior care becomes an affordable way for seniors to stay in their homes, more are choosing to receive care in familiar surroundings. Uber and Lyft makes it even easier for those with limited mobility. For those who aren’t comfortable using a smartphone app to arrange transportation, companies like GoGoGrandparent allow seniors to make a phone call and someone will send Uber to their door. The Internet of Things is changing all things medical, including care for seniors. Virtual assistants remind seniors of tasks they might otherwise forget and monitor homes to make sure residents stay safe. Portable diagnostics allow mobile caregivers to evaluate a senior’s medical condition without having to take them to the doctor’s office and mobile devices allow monitoring even when they’re alone. Computers and other smart devices also allow seniors to stay connected. Instead of spending days without interaction, they’re using video calling and social media to interact with friends and family members. Seniors are taking responsibility for their own care by joining programs that help them stay well and active. Senior living facilities offer fitness classes, healthy eating plans, groups for spiritual pursuits and continuing education plans. Home care providers don’t just care for daily needs, they tailor each person’s plan to include activities that improve the body and mind. Arista Home Care Solutions has a team of professionals dedicated to providing the highest quality care for seniors and their families. Call us today at (419) 754-1897 to develop a comprehensive plan for your loved one’s comfort and care. We are here to help.